Vladimir Putin’s Annual Press Conference 2014 In Moscow, Russia. 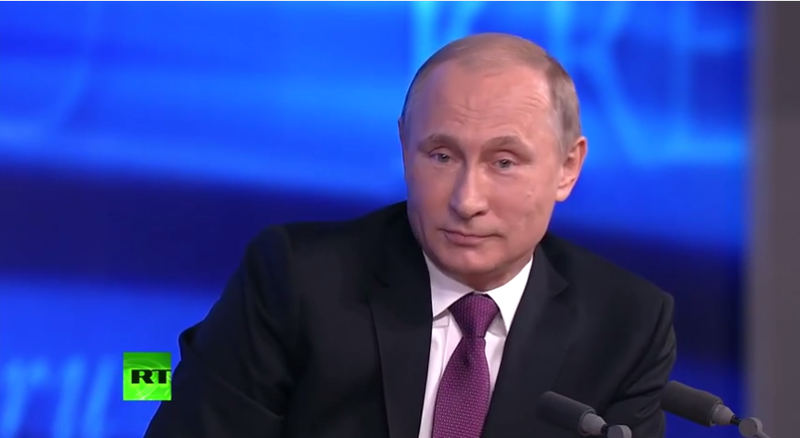 Putin answers questions about Ukraine, oil prices, Russian economy, Crimea and much more. On December 18, 2014, Vladimir Putin held his annual press conference in Moscow, Russia. The event takes place every year and is unique in that it allows journalists to spend an entire evening asking the president of Russia any question they want. The press conference has been famous for seeing Putin answer very tough questions and take on all sorts of challenges from the press. You can watch the full press conference here on the Great Revolutionary. The event lasted about 3 hours and included hot topics such as the current Russian economy, oil prices, Ukraine and Russian relations, Crimea and much more. Must watch for anyone who wants to keep up with Russian political thought and Russian current events.